iOS 11 GM leak has revealed almost all secrets of iPhone X, Apple Watch Series 3 and other announcements from Apple’s upcoming September 12 event. Here are the details. Someone, somewhere, within Apple, will be reporting to a departmental board room in the very near future after the official GM seed of iOS 11 leaked into the public domain. The iOS 11 GM, which was due to be issued to developers after the September 12 media event, is out in the wild, revealing yet more gold about Apple’s upcoming products and services. There is a great deal of information to contest and digest within the iOS 11 GM, so let’s start things with Apple Watch Series 3. The leaked GM seed contains an image pulled directly from the Watch companion app within iOS 11 which seems to confirm that changes are indeed coming to Apple’s intelligent wearable. 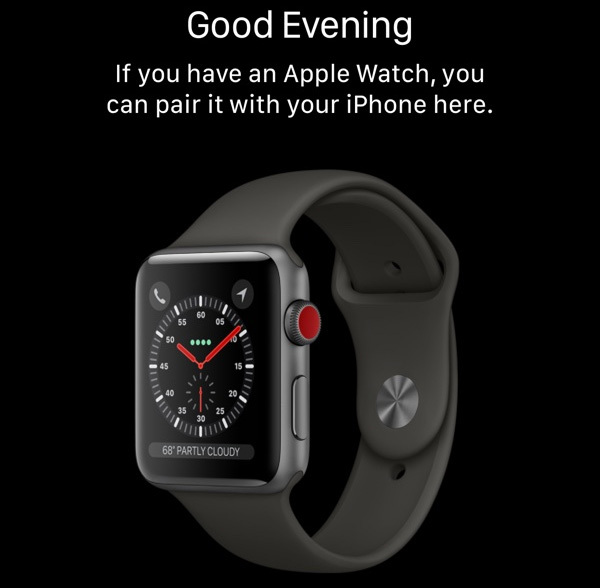 The image shows Apple Watch, presumably Series 3, with an identical physical design to what we already have but with a new watch face and a bright red Digital Crown on the side in what could be taken as an indication of a cellular data connection on the display. This seems to confirm speculation about a LTE-enabled Apple Watch which would be capable of acting independently of the connected iPhone, although it will have same phone number as the iPhone for making calls. 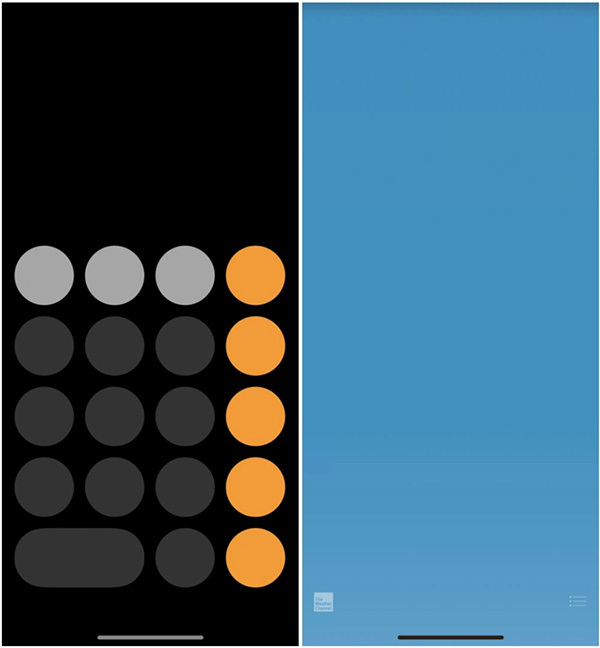 If that’s not enough, a screenshot of watchOS 4 Control Center has also surfaced, showing not just the new iPhone’s silhouette with a notch, but a cellular signal bar as well, confirming that the Apple Watch Series 3 will indeed come with an embedded Apple SIM. The GM seed also points to Apple Watch Series 3 getting new case finishes, with “Aluminum Blush Gold” and “Ceramic Gray” being the order of the day. 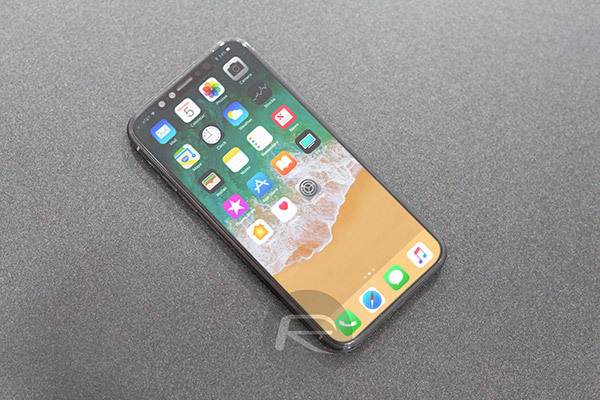 The leaked iOS 11 GM contains notable references to what is now confirmed to be called as “Face ID” as well, Apple’s replacement for Touch ID on the next flagship iPhone, and which will utilize the new camera and 3D sensors for facial recognition purposes. 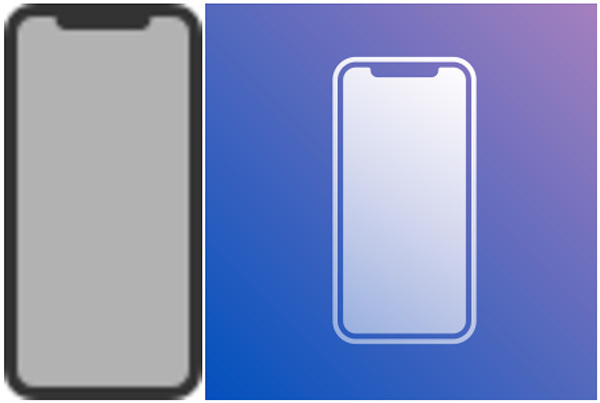 There is also an outline imagery in the GM seed which confirms that iPhone X will ship with an edge-to-edge display with a slight notch cut-out at the top of the device for the camera and other sensors to sit within. If that was not enough, iOS 11 GM has also revealed screen resolution of the next iPhone, which will be 2436 x 1125 and will be of True Tone Display type although refresh rate of 120Hz from Apple’s ProMotion tech, like on latest iPad Pros, isn’t confirmed as yet. Apple is also taking functionality previously invoked through the Home button and putting it elsewhere on the device. This will be done through the elongated power button, which will now be called as “side button” (previously sleep/wake) and will be used for multiple tasks and not just for sleep/wake action, including ability to activate Siri and bring up Wallet screens which will show all registered Apple Pay cards according to Guilherme Rambo. It will likely not be physical button, but rather a capacitive button like the Home/Touch ID button on the current iPhone 7 series. The new navigation bar has now been confirmed to be gesture driven and will be used to call up the Home screen or App Switcher depending on the type of gesture used. It’s denoted by a horizontal line at the bottom of the display. If that wasn’t enough of an insight into what’s coming, there’s actually more. The GM hints at new video recording options of up to 4K at 60 frames-per-second for iPhone X. And you thought that’s all? Not really. Wondering what’s the deal with vertical dual-lens cameras on the back of iPhone X? Well besides being used for advanced AR purposes, they will also be used for advanced Portrait Mode effects, including what is called as “Portrait Lighting” mode. This new enhancement to Portrait Mode will support Contour Light, Natural Light, Stage Light, Stage Light Mono, and Studio Light modes. There are also references to refreshed AirPods with model number moving from AirPods1,1 to AirPods1,2, and what appears to be a relocation of the charging LED light from the inside of the Charging Case to the outside. Lastly of course, there are the brand new stunning wallpapers that we have already been privy to, and they appear to be designed to pop on an OLED display. This is what has been found within a few hours of the firmware leaking, so it’s likely that there’ll be a whole heap more coming out in the coming hours and days. Stay tuned. So all this article shows is what we already knew! Well it has confirmed a lot of speculation. I can’t wait for more information like wireless charging though. Cool but i dont we really needed to know in advance the name of face id. Heads will roll at Apple for all these leaks.